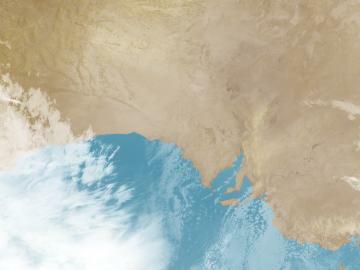 Cloud crossing southeastern SA is mainly high jetstream cloud and is bringing virtually no rain. Skies are otherwise mostly clear due to dry winds blowing around a high. These clearer skies will allow it to cool down rapidly as the sun sets.